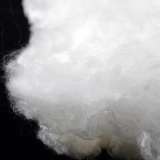 Bombyx Silk; also call 'Cultivated Silk' or 'Mulberry Silk This silk is eligible for 10% bulk discount. 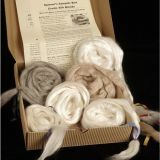 Bombyx Silk; also call 'Cultivated Silk' or 'Mulberry Silk' This silk is eligible for 10% bulk discount. ***NEW*** Suri Alpaca raised in Colorado; Bombyx Silk; also call 'Cultivated Silk' or 'Mulberry Silk' This silk is eligible for 10% bulk discount.